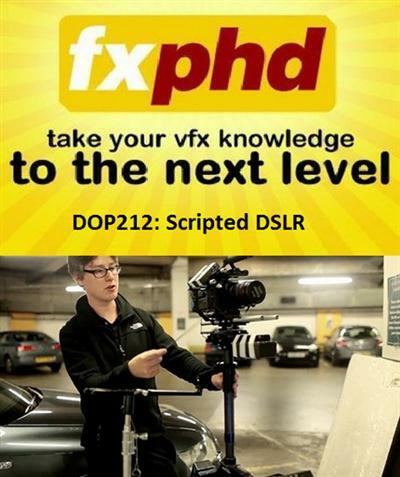 fxphd - DOP212 Scripted DSLR with Mike Seymour | Free eBooks Download - EBOOKEE! Posted on 2014-02-05, by supnatural. We have done some great courses in recent times on using the new range of DSLR cameras in a variety of situations, but this term we want to focus on scripted based narrative drama and comedy. We have teamed up with legendary UK Writer and Director Doug Naylor (Red Dwarf co-creator) to produce an episodic comedy called "Over to Bill". Mike Seymour will be working closely with Director of Photography Ed Moore, to bring practical on-set tips to light. The entirely new and original story is filmed in and around London in the present day and captures the best of scripted DSLR approaches. Class 1: Producing a short or scripted drama on SLRs - just how easy is it? How good can it look? Mike talks to Director Doug Naylor, and Director of Photography Ed Moore. Class 3: The importance of negative lighting, Ed talks about the lighting setups using 2 scenes from "Over to Bill" as examples. Class 4: Mike talks about gear and the importance of the 1st AD and call-sheet for indie production. Class 9: A walk through on dslr post. Processing, syncing and enhancing the offline. No comments for "fxphd - DOP212 Scripted DSLR with Mike Seymour".